Essentially, this is the car that Elon Musk promised us for our future. 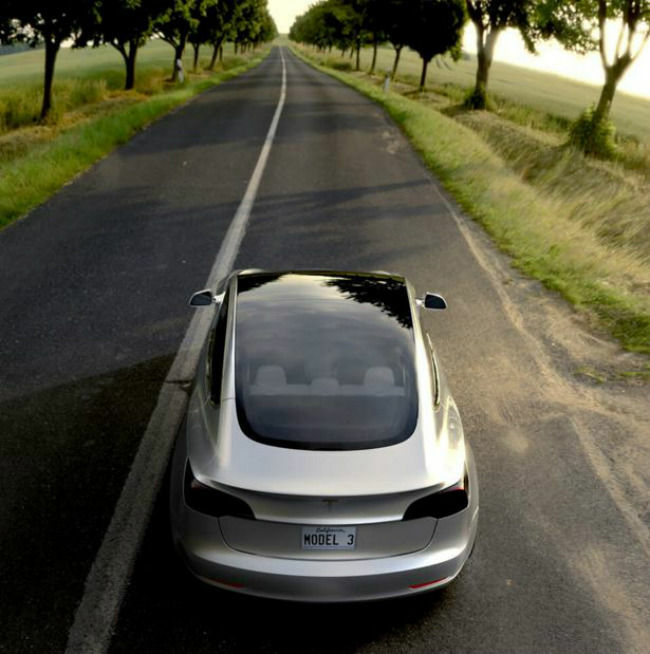 Tesla Motors has always been about making cars that are not only viable for our future. Over time, it has crafted engineering luxuries out of metal, glass and wires, leading to vehicles that are clean, efficient, beautiful and fast. The recently-announced Tesla Model 3 is everything that Elon Musk’s brainchild stands for, and much more. Here’s why. The Tesla Model 3 has been a decade in the making - years of on-ground research and fine tunings down in R&D laboratories to produce a car that is expected to bring electric cars to the masses. The Tesla Model 3 has been touted to run for nearly 350 kilometres on full charge, reach from 0 to 100 kmph in about 6 seconds, and house myriad safety features, including autopilot safety. Speed, increased range and enhanced safety are crucial aspects for cars to succeed across various nations. Tesla has spent a lot of time around the Model 3, immaculately planning out details. The new design does away with the front grille, and how! Additionally, the 17-inch portrait-oriented touchscreen interface on Model S and Model X is being altered into a 15-inch landscape-oriented touchscreen on the Model 3. The Tesla Model 3’s consumer focus is further heightened by the fact that five adults can sit comfortably in the car, making it a viable option for many families. In Musk’s words, “comfortably is the most important part here”. Tesla, in other words, might no longer be just a future enthusiast’s toy. It is one for the wider market of buyers. Tesla is targeting newer markets with the Model 3, including India, Brazil, South Africa, South Korea and New Zealand. With focus on these new markets, Tesla is doubling the number of Superchargers from 3,600 to 7,200. The range of the car has been enhanced, and with more Superchargers, the span of distance being covered by the car will hopefully be even better by the time Model 3 cars hit the road. Adding to this, support for comfortably housing five adult passengers and a host of security features make the Tesla Model 3 suited for commercial city usage. The highlight, however, is the price. At $35,000, or about Rs. 24,00,000, the Tesla Model 3 will find its place among executive class D-segment standard sedan buyers, or even challenge the SUV-frenzy car buyers of India. In countries where the proposition of highest value for money rules buying decisions, the Tesla Model 3 has the potential to present itself as a future-proof vehicle that is easy on long term maintenances. The front and rear boot spaces on the Tesla Model 3 also mean that you get massive storage spaces, yet another perfect optimisation for value-oriented buyers. The one that changes the game? 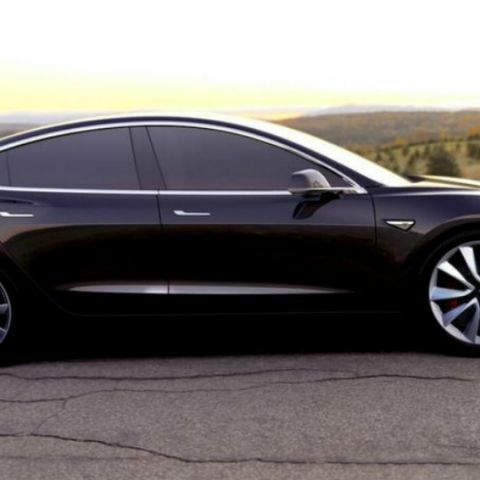 Elon Musk has stated that the Tesla Model 3 will possibly ship from end-2017. It has already received over 130,000 pre-orders, that one can reserve by paying $1,000. Even though the delivery and shipment date seems quite far away (furthermore fuelled by the proposition of Tesla not getting to live up to its own target), this might not essentially be a bad aspect. It may actually confirm Tesla more buyers, as giving customers time to stock up cash to splurge on a superlative electric vehicle can turn out to drive higher sales for Tesla, and lesser cancellations of pre-orders. 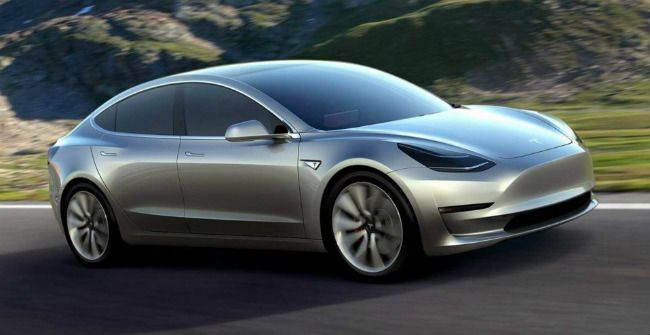 The Tesla Model 3 is all set to be the car for our future. With stunning, future-oriented looks, a fast, safe drive, and focus of comfort heightened by technology, the Tesla Model 3 ticks all the required checkboxes of a car that has every potential to go down as an icon in the history of automobiles. Did we just witness history? See Elon Musk’s unveiling of the Tesla Model 3, and judge for yourself. Is it woth to buy Xiomi Redmi note 3? why digiflip Tab is so much cheap? is it value for money?